Transcend Multisport Head Coach, Guy Jones, is an experienced Performance Triathlon Coach committed to the ethical improvement of client health, athletic performance, and life quality and satisfaction. As an age-group triathlete, he is a 3x Australian Champion, 1x Oceania Champion, and 2x ACT Triathlete of the Year. Qualifications include: Triathlon Australia Performance Coach (Level 2); TrainingPeaks Certified Coach (Level 1); Bachelor of Sport Coaching and Exercise Science (ongoing). 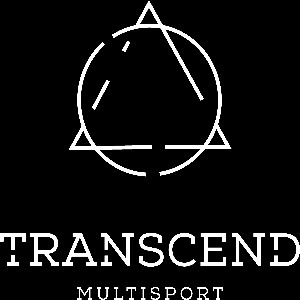 Transcend Multisport is a triathlon and endurance sport training group. We offer private coaching and a weekly training schedule that caters for all levels, from beginners looking to improve their skills, right up to elite competitors vying for major titles. We pride ourselves on our culture of integrity and collective growth. Transcend Multisport athletes support each other in pursuit of their goals, no matter how large or small. Training programs are science-based, and focus on achieving the best possible outcomes for time-poor triathletes. We take skill development seriously, in swimming, cycling, running, and the ‘fourth discipline’ of transition. We also provide a range of affiliate services and advice including aerodynamics testing and technical analysis. In short, we will show you how to get the maximum speed out of your fitness, and how to race smart for optimal results. We are experienced in applying the ‘art’ of coaching to achieve the best results for you, whatever your goals may be. Based in Canberra, Australia, we also provide distance coaching. Success. Coach Guy Jones has been notified of your message.